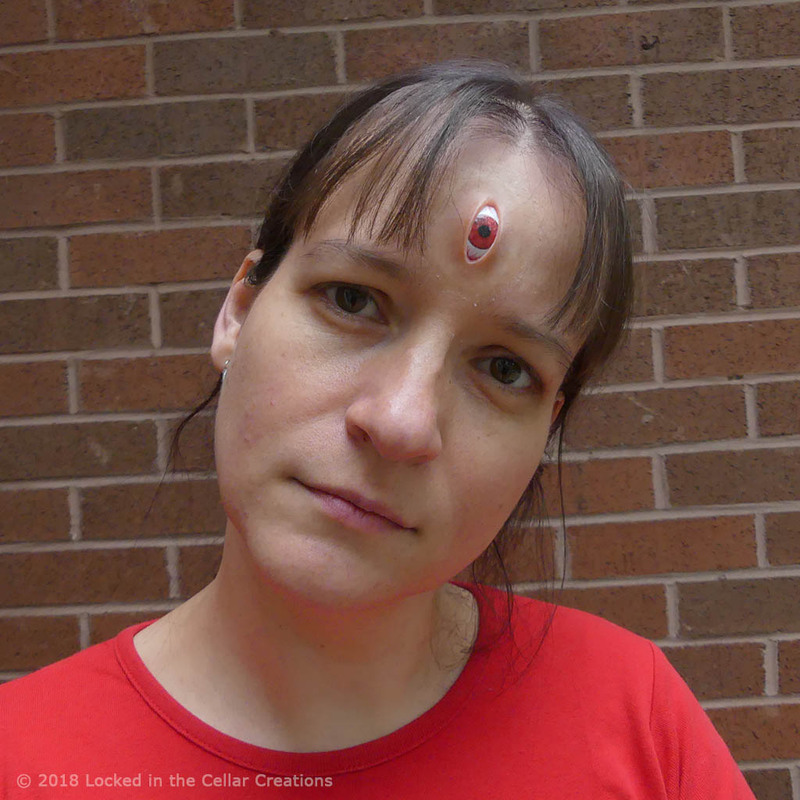 Create an eye catching effect with this realistic looking Third Eye Prosthetic. The most detailed & realistic Third Eye prosthetic you’ll find; it has a highly detailed eye insert with a durable glossy finish and capillaries. 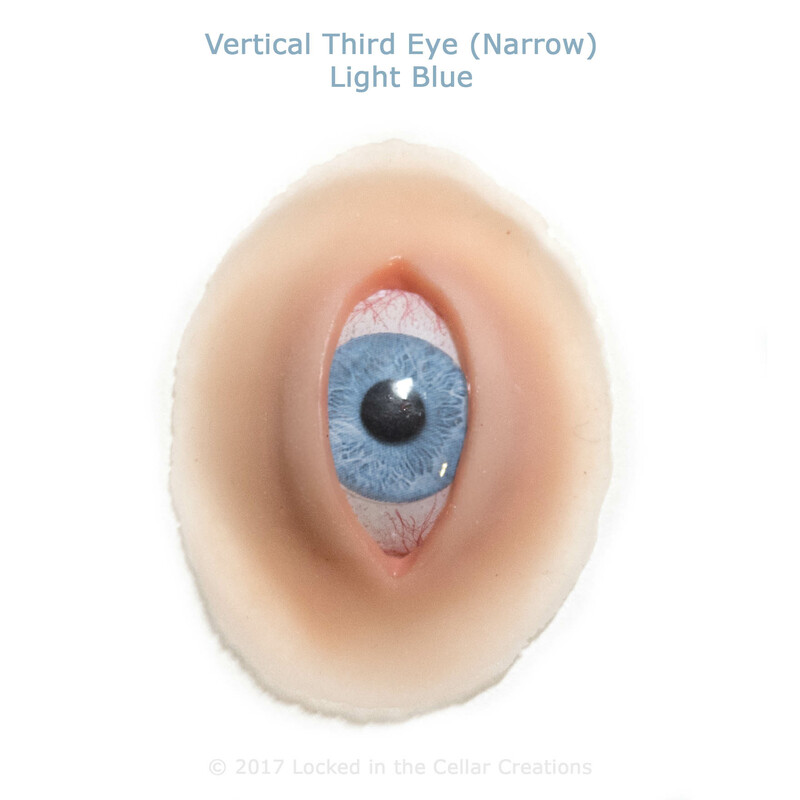 The fourth member of our Third Eye family is the Narrow Vertical Third Eye Prosthetic! 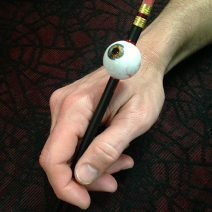 Great for your Mutant, Demon, Anime or Alien cosplay character. The eye opening is 8mm wide and 25 mm high, showing only a sliver of the eye insert. 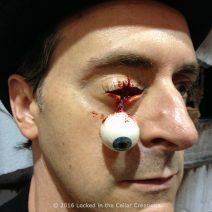 OTHER brand’s 3rd eye prosthetics can be unrealistically big and bulgy with overly wide edges. 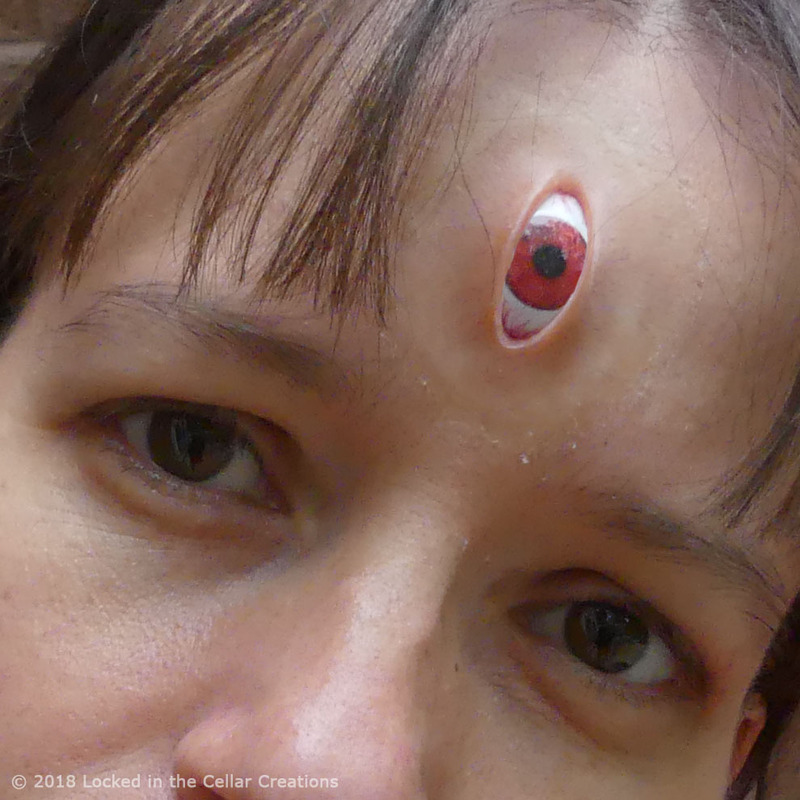 OUR 3rd Eye Prosthetic has an anatomically correct size and curvature, yet is only 6mm (¼ inch) thick for an amazingly realistic effect. Our edges are super thin, for easy invisible blending with liquid latex. 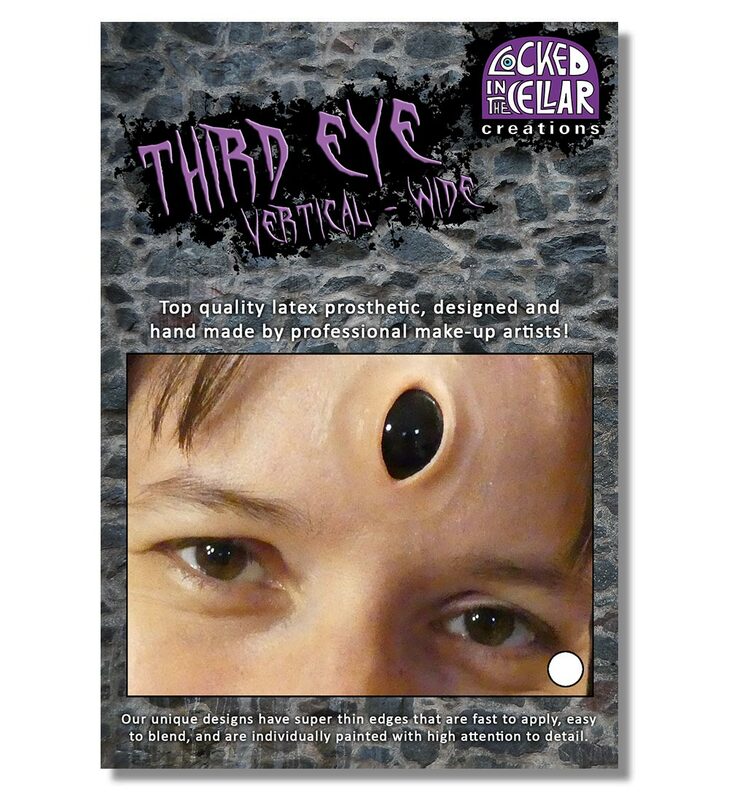 Check our other listings for Horizontal Third Eye Prosthetics (Regular or Wide Open), or the Wide Vertical Third Eye Prosthetic. 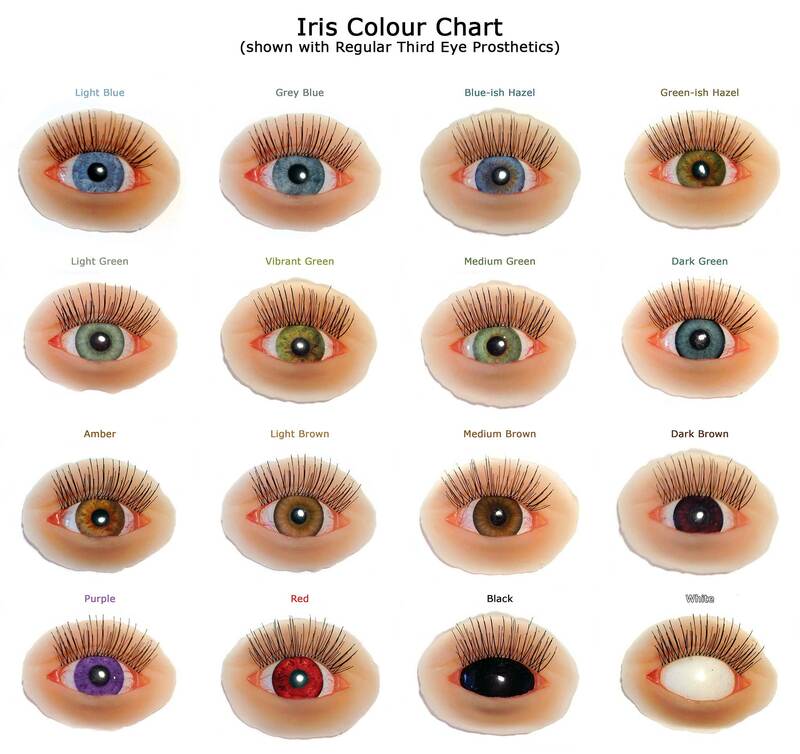 If you’re looking for a colour that is not in the list, you can get your CUSTOM iris made for a small extra fee. Just add a note when you check out describing the colour you’re looking for (or add a link to a picture). – Available in 16 standard eye colours to match yours: Light Blue, Grey Blue, Blue-ish Hazel, Dark Green, Medium Green, Light Green, Vibrant Green, Green-ish Hazel, Amber, Light Brown, Medium Brown, Dark Brown, and upon popular demand: Red, Purple, Demon Black or Zombie White. 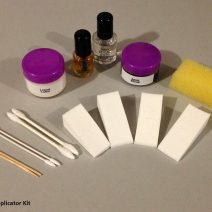 Liquid latex and/or adhesive are not included, but our Prosthetic Applicator Kit contains everything you’ll need for an invisible application.